"Dr. Michael Hannahan, U.S.A. and Mr. Kenneth LeBlond visited Islamia College Peshawar. Dr. Hannahan gave a detailed lecture session about U.S.A./Pakistan relationship to its faculty members and students. 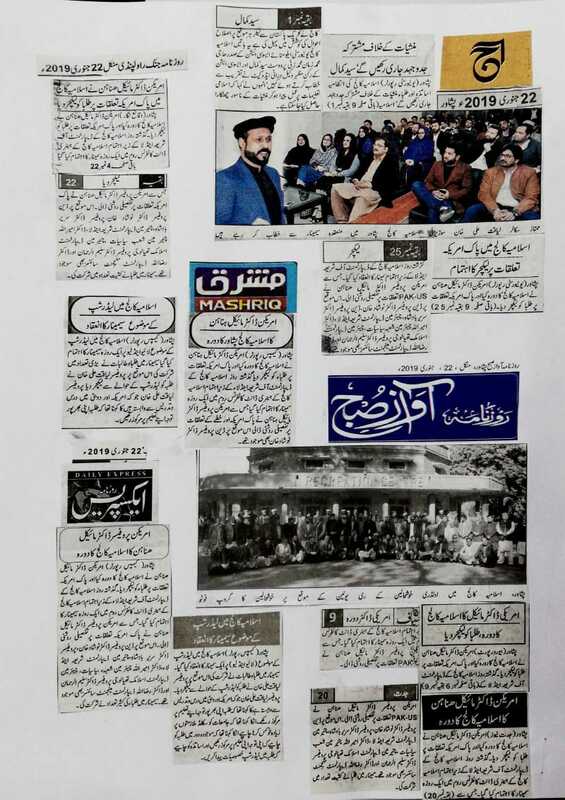 Islamia College had organized the one-day seminar in Department of Shariya and Law in its conference room. "Dr. Michael Hannahan has highlighted all areas of U.S.A. Pakistan relationship same conference was also attended by deans, chairmen, senior professors, and management team, Dr. Noshad Khan, Dr. Bacha, Dr. Ameerullah, Dr. Abdul ur Rehman, Dr. Zia ul Haq, and many more of Islamia College Peshawar."